Over the years pools become discoloured and deteriorate due to the weather, use of chemicals and neglect. 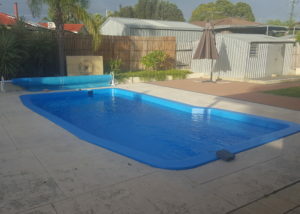 We can restore your pool back to a modern beautiful pool that you can be proud of by resurfacing it using the internationally proven four stage process method. 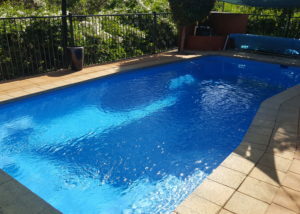 Our team are experienced at resurfacing pools of all sizes and all ages. 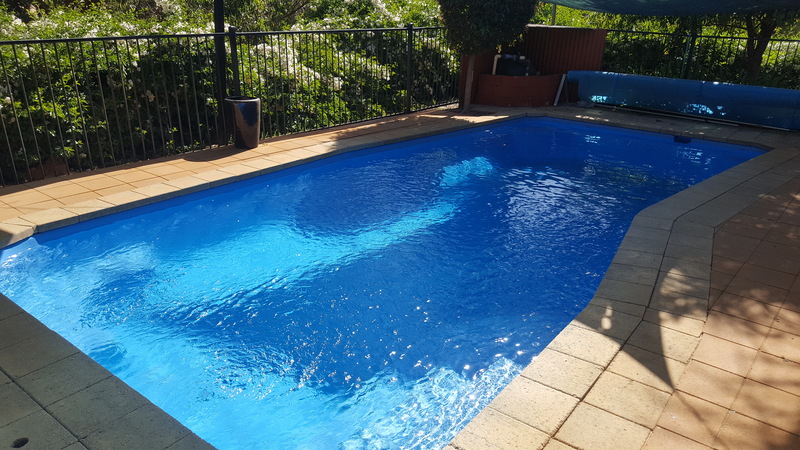 Our friendly staff will come and assess your pool and give you a clear indication of what is possible and the costs involved. 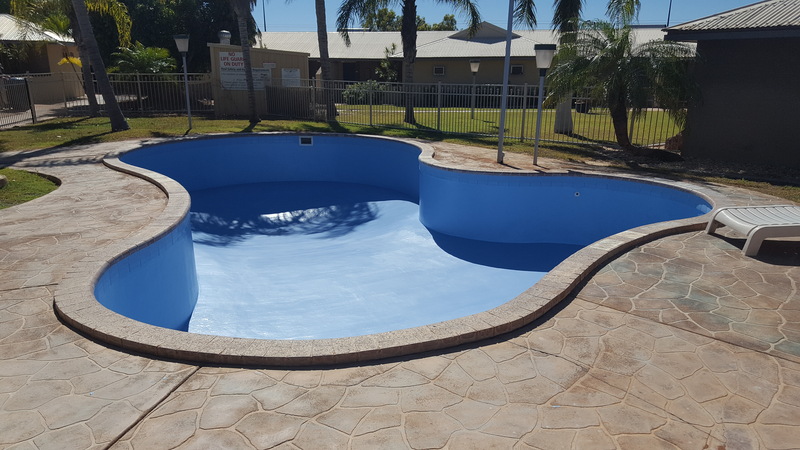 We love what we do and we know that you will love how your pool looks after its restoration. 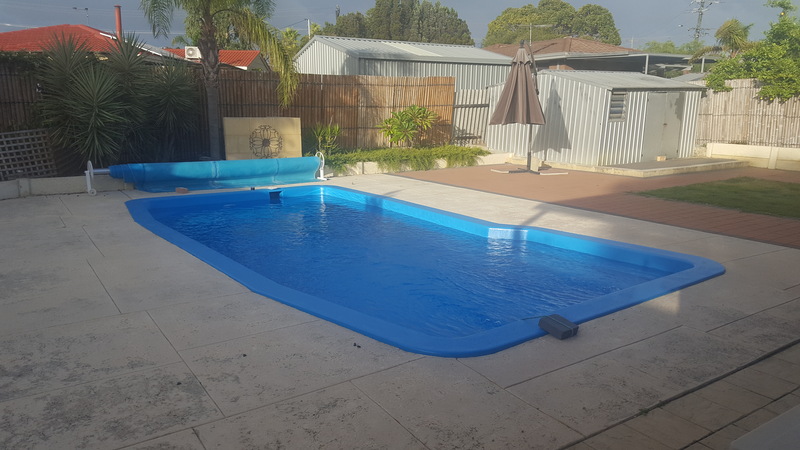 We use a four-stage process complying with industry standards of resurfacing with considerable attention to detail and quality of preparation to ensure your pool lasts for years; hassle free. The first step of our resurfacing process is applying a pre-coat which helps bond the new surface to the existing pool structure. 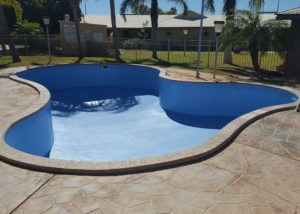 Next, fibreglass is moulded to the shape of the pool with the help of bulk resin. This forms the new surface of your pool. Increasing the chemical and water resistance of the structure. It also helps prevent the forming of new black spot. This paint coat improves the quality of the fibreglass laminate and it helps bond the Top coat, the cosmetic finish, to the fibreglass. This is the final stage of the resurfacing. A decorative finish is applied to the new surface of the pool. There is a choice from a range of 9 colours to suit your liking.